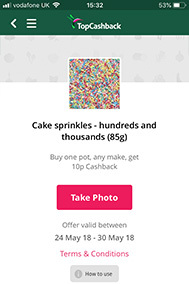 Download the free mobile app from TopCashback, the UK's Most Generous Cashback Website. 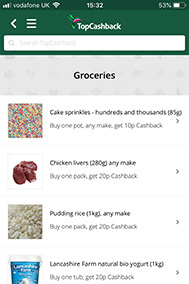 The TopCashback App is available for the iPhone, iPad, iPod and Android phone. 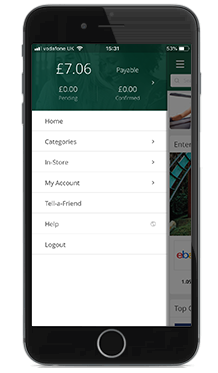 Downloading the TopCashback App will enable you to check your cashback earnings and earn more cashback on the move. So what are you waiting for? Get the app for your selected device using the buttons below. 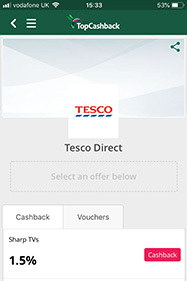 Earn cashback on your in-store grocery and high street shopping with our Groceries offers. New items are going up on a weekly basis for limited time periods, so make sure you keep an eye on our list of offers to get cashback on your shopping. 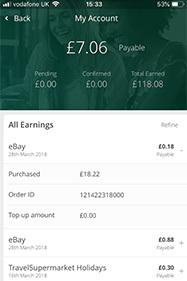 All you need to do is browse the list of available offers, purchase the items you’d like in your normal shop, and then snap your till receipt using the app camera. Just a few quick and simple steps and if approved your cashback should be with you in minutes. Get cashback on your in-store shopping too with our OnCard offers. 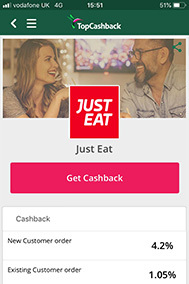 Simply see which offers take your pick, activate the offer via the app, and then register the credit or debit card that you’re planning to make your purchase on. Then shop as normal in-store and the cashback will track back to your account. Featuring some fantastic retailers and restaurants – why would you ever pay full price again? There's no need to boot up your computer anymore to do your online purchases. 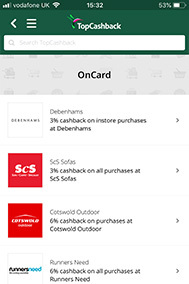 Shop online through your mobile to collect cashback and go even further with online voucher codes. On top of all that, you can monitor how much cashback you've earned, keep track of pending transactions and manage your favourite merchants.